In November, HerChesapeake spoke with wildlife biologist and conservation leader Marcia Pradines. Marcia has worked with the U.S. Fish and Wildlife Service for ten years, and currently manages the Chesapeake Marshlands National WIldlife Refuge Complex, which includes the Blackwater, Eastern Neck, Martin and Susquehanna national wildlife refuges. As part of our guest speaker series, Marcia spoke with us about connecting people through conservation, creating a positive environment for your team and climbing the jungle gym that has replaced the classic career ladder. HerChesapeake: You’re passionate about helping people care about wildlife conservation. What inspired you to follow this career path? Marcia Pradines: Ever since I was young, I’ve loved wildlife. I was always made fun of in school--called the Bird Girl because I would go rescue injured birds. I’ve always had that predisposition to helping things, and I love being outside. My dad died when I was very young. He was a science teacher, and he was very outdoorsy, and when he died, my mother continued to make sure I had that in my life. I’m an INFP: the idealist, the one who wants to save the world. I always wanted to be a veterinarian or a wildlife biologist. After I graduated from the University of Pittsburgh, I got a job as a wildlife rehabilitator. Not a lot of people get paid to do that. I have an injured screech owl in my bathroom right now, so I still have that in me. Connecting people for conservation has been a thread throughout my career. A big part of that work is partnerships and collaboration--bringing people together to get something done. How does your experience working in the field compare with your experience working in an office? When I worked at the Wildlife Habitat Council, I started off as a field biologist. A lot of the staff left the organization all at once, and when the opportunity to move from working in the field to working as a manager came up, I thought, I can’t not try to do what I can to make a better team environment for the organization. But I had to think about it. Because it wasn’t about money for me; it was about my impact. And I’m glad [I made this choice], because then I moved to U.S. Fish and Wildlife Service, and I dealt with a lot of big-picture things, which I love. But transitioning from D.C. to the Eastern Shore has been nice, because I’m in the office a lot, but I’m connected to the ground. It’s a good fit for me. What role do partnerships play in conservation? How do you make sure these partnerships are effective and equitable? One thing I’m proud of is my work on the Urban Wildlife Conservation Program. That was about creating a connected conservation constituency: reaching new audiences, realizing their motivations and helping conservation become relevant to them. We worked off-refuge and in communities to connect with people where they are. This is where things start to happen. You’re talking to new audiences, you’re creating new ambassadors for conservation and you’re spreading the message. That’s something we don’t do well: telling our story and reaching new audiences. In my experience, it’s not about you--it’s about other people. You have to talk to them, you have to listen to them and you have to ask them what matters to them. I find a lot of people try and place their mode of conservation on people. Hunting is a good example of this. In the past 20 years, hunting has gone down, and hunters fund a lot of conservation through license sales, taxes and so forth. But if you didn’t grow up hunting, you don’t have that tradition, and promoting conservation by promoting keeping this tradition alive isn’t going to be relevant to you. There’s a social science side to wildlife management. A lot of the things we’ve assumed are barriers aren’t. That’s why you have to find out what matters to your community. That’s how we’re going to get conservation done. You also have to look at what you have to bring to the table and how you fit in with the other partners. Experiment. Try things. Take risks. Have you read Lean In by Sheryl Sandberg? In that book, she says the career ladder is no longer a ladder, but a jungle gym. I find that to be true for two reasons. One, you don’t have to step on the person below you to get above. And two, sometimes you have to go sideways or down to get to the “top.” Knowing this can help you take risks, act on what matters to you and realize where your passion is. Find supportive people. If you have some bad experiences, that’s a gift they gave you. You have a learning experience, and you’ve gotta take it. But whenever you can put yourself in a situation where you're going to grow and be around a supportive boss or supportive peers or have the freedom to do things, it’s worth taking the risk. Even if it is a jungle gym. Sometimes that’s what you have to do to really grow. You’ve said you love busting stereotypes and breaking down barriers to involve women and people of color in outdoor sports. What are some of the barriers and stereotypes you’ve encountered, and how are you breaking them down? One of them you can probably guess. Someone tells you you can’t, and you say, Watch me. I want conservation to be welcoming to people. I want people to feel embraced. And oftentimes the way to get into conservation is through some sort of recreation, whether it be hiking or hunting or birding or just walking your dog on a trail. How do you create that atmosphere? A lot of people have stereotypes. When I took this job, someone said, Women can’t be refuge managers. What? How is that even possible? But those thoughts are still out there. Busting stereotypes for yourself involves realizing that people oftentimes don’t know what they don’t know. If you can break that for them, that helps. 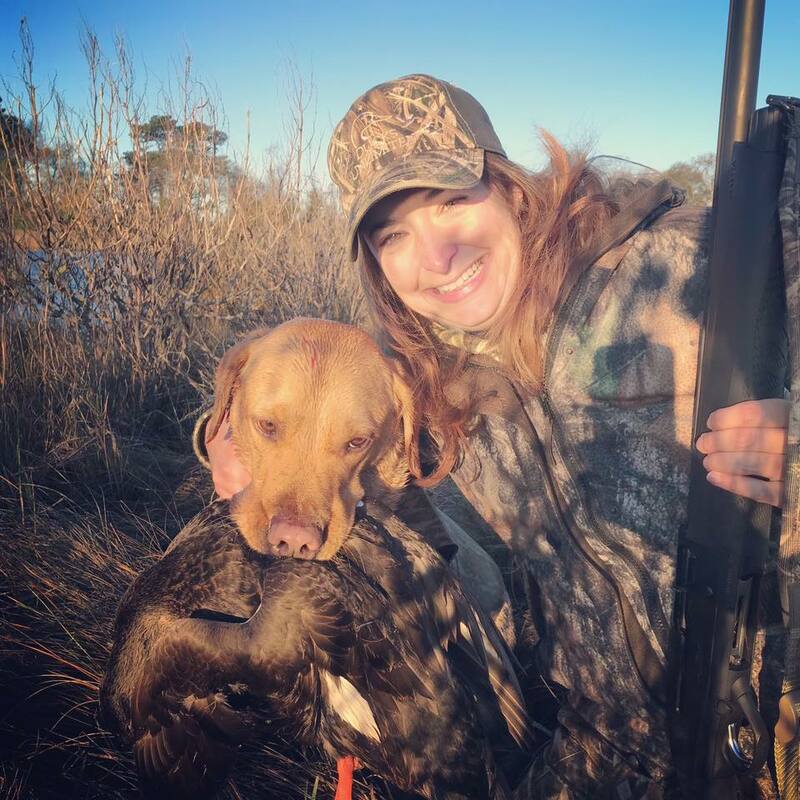 Marcia recounted a story she wrote about a mentored hunt program that pairs skilled hunters with first-time or lapsed hunters, walks them through a series of technical lectures and provides them with range time to help the mentee begin their journey into hunting. Tell stories. Your own stories; other people’s stories. That can resonate and connect more and more people. I truly believe we have more in common than we have differences. We need to focus on that and talk to one another. When you’re new to an organization, you have an opportunity to bring people in that organization together. You aren’t carrying a banner. You don’t feel stupid asking questions, and you can learn things that no one else knows because they’ve never talked to one another. How would you describe your leadership style? What do you do to be a better leader? I often felt like I was too sensitive. But then I began to realize what I thought were my weaknesses could actually be my strengths. There’s something called empathetic leadership. For better or worse, I’m empathetic. I can feel other people’s pain. If you start crying, I’m going to start crying, and I’ve learned not to apologize for it. It doesn’t mean I agree, but it means I can pick up on that. I think that’s what helped me transition [to a new career with the federal government]. I didn’t come in knowing it all. I wasn’t a technical expert. I had the world’s leading experts on land birds and shorebirds working for me. I asked and I listened and I honestly wanted to know how I could help them do their job better and move us all to a collective vision. You’ve probably heard this Maya Angelou quote. “I’ve learned that people will forget what you said, people will forget what you did, but people will never forget how you made them feel.” I want folks that have worked for me to have good memories, even though I’m going to make mistakes. If people know you care, and you listen, and you try, and you come to them when you make a mistake, you can get over a lot. But how many people do you see make a mistake and never come say anything? I want folks to look back and remember that I did something to support them and help them. To grow into who they are, to follow their passions, even if it means they need to move somewhere new. How can we work together in support of our conservation goals? Collaborate with folks. Find the value that you add to a partnership. Mutually beneficial partnerships that allow you to work toward a greater goal are the partnerships that really gel. We can all lift each other up, help find people’s niches and talents, and promote each other. Tell your own story, but tell other people’s stories, too. You don’t know how much what you’re doing today might impact another person ten years from now. It’s like reading a book. When you get to the end of a book, you’re like, Oh, you never could have gotten to that ending unless you did A, B, C and D. But when you’re going through that plot you’re like, Where is this going to go? What are your long-term goals for the refuge? We are experiencing climate change and sea level rise. You can see it happening. Even the people that say climate change isn’t human-caused—they see and will admit to sea level rise. They see their crops going underwater. They see it all, and they’re living it. So we have to adapt. How are we going to keep the refuge around until 2050? We’re doing a lot in the neighborhood. We’re explaining why we’re not doing certain things and why we are doing other things, like acquiring land to keep Cambridge from becoming one big underwater mess. Having that dialogue with your critics is difficult. But we’ve come so far.